The more than I have blogged, the more I have learnt about beauty and skincare. The more I have learnt about beauty and skincare, the more choosy I am about what I use on my skin. I study the ingredients, note the changes and try to be more regular in their application, wary of the ethics, striving to use as many natural products as possible and supportive of independent and niche brands. That’s where my love for Fitzjohn slots in with these ideasl. Bespoke, beautiful and lovingly handmade by Ethel Fitzjohn herself, Fitzjohn Skincare is a marvel of a find. Believing in helping you achieve beautiful skin, naturally, the range is packed with lush, ethically sourced botanicals, plant actives and essential oils, all blended by hand in good ol’ Blighty. I would say my cleansing and moisturising game is pretty tip top (discover my AM/PM cleansing routine here), but I am ALWAYS looking for products to enhance it. This is where the utterly lush Radiance of Venus Advanced Skin Brightener slotted into my daily agenda, like it had always been there. Adaptable to my skincare needs, this product DELIVERS quicker than Mercury on a speedy errand! This product can be used in the blink of an eye if you are dashing about in the morning or if you are indulging on a Sunday afternoon pottering around, you will find this is your best bud for a relaxing leisurely bliss out. It’s a treatment that will see you through, whatever your needs basically: Part exfoliator, part face mask, fully uh-mazing. Gentle enough to use every day, effective enough to notice a marked difference. This skin brightener has a gorgeous mousse-like yumminess which I found utterly, divinely addictive, encased in the most regally luxurious packaging. When I was having a busy day this came with me into the shower. After cleansing, I would spend a couple of “me time” minutes massaging this over my face, breathing in the scent, then left it on to work its magic whilst I carried on with my ablutions, then washing off at the end. Packed with all natural wonders such as Vitamin C and E, natural fruit AHA’s, Shea Butter, Rosewater, Allantoin, Honey extract and non-scratchy Jojoba exfoliating grains, this beauty buffs your skin gently and deliciously. When I have a day of (rare) relaxation, this has been the perfect partner to Netflix and chill with! 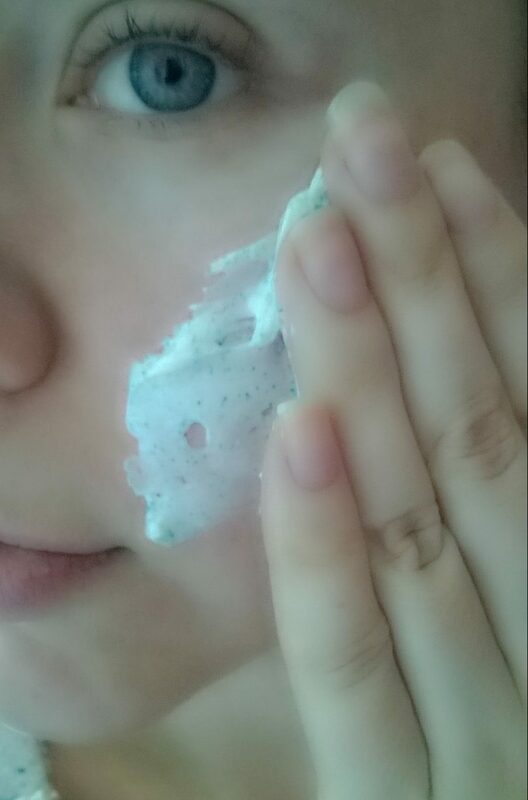 Instead of washing off after massaging, you can leave this on for longer, becoming a really gorgeous mask. 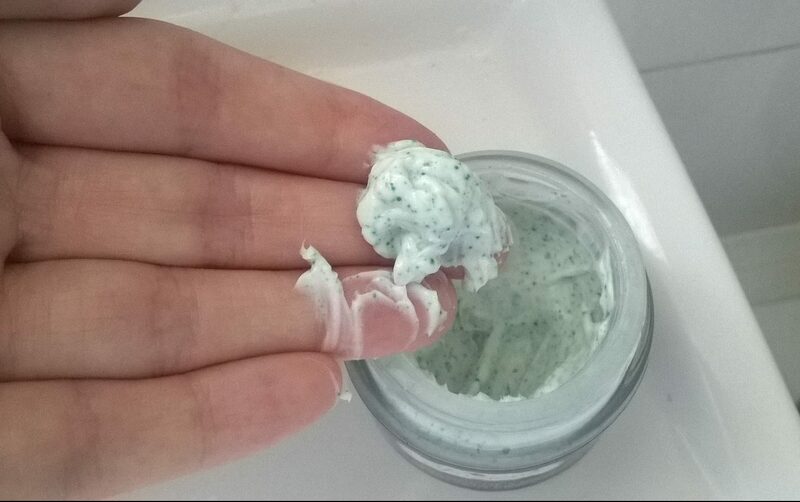 My skin drank this in in minutes, leaving behind the pretty blue Jojoba beads to buff off afterwards (I tend to leave this on between 15-30 minutes depending on my time-frame for “Leigh time”). Seriously blissful! So what of the results? Well, day by day, I have noticed the reduction in dry patches on my skin, redness has disappeared. 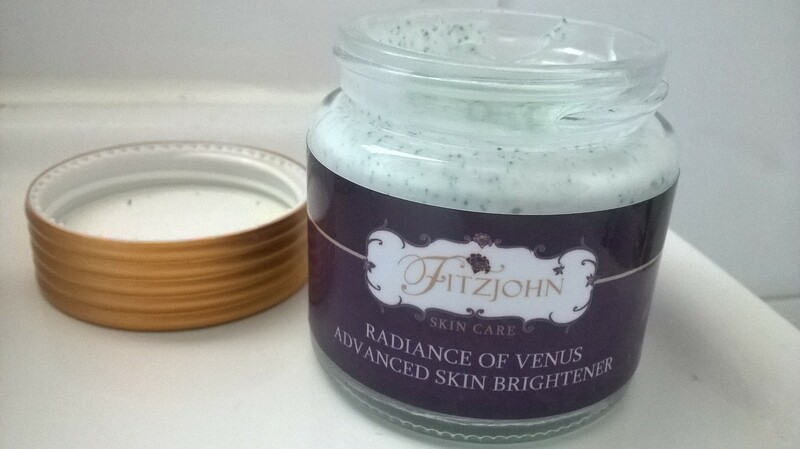 I have found that whatever product I have used afterwards has glided on and absorbed better, looked better and that my actual skin appears less poreless and more luminous which glows through my makeup – yes, a real radiance of Venus! If you are after a simple to use skin brightener that delivers on its promises, then this is definitely the one for you. Natural and effective, this product will most certainly leave you feeling like a Roman goddess. Now, can you find someone to fan me, whilst feeding me grapes? Thank you muchly. P.S. Love our FDJ LDN posts? Well NEVER miss another by subscribing to our blog! Click that “Subscribe” button in the top right of the page and you are going to get our posts straight to your Inbox! Or if are signed up, why not follow us on Bloglovin’? We are SO about that social media fillies – head over to our accounts on Twitter, Instagram and Facebook now! The Thirty PLUS Blog Awards: Please Vote For Fashion Du Jour LDN! Totes Amaze: Our Big Bag Wishlist! It sounds like this product really worked for you. I think I need this in my life! This sounds lovely – adore products that target redness as a rosy girl! Definitely Claire! Was such a find for us sensitive souls that need a bit more skin TLC. Highly recommend. This product sounds great. I think I need to try it. Oooh I always get really red skin and suffer terribly with dry patches, will have to try this out! Thanks for recommending. This stuff is a dream – totally recommend Emma! Your skin will thank you.